Tired of the same old same old coconut, onion, or tomato chutneys? 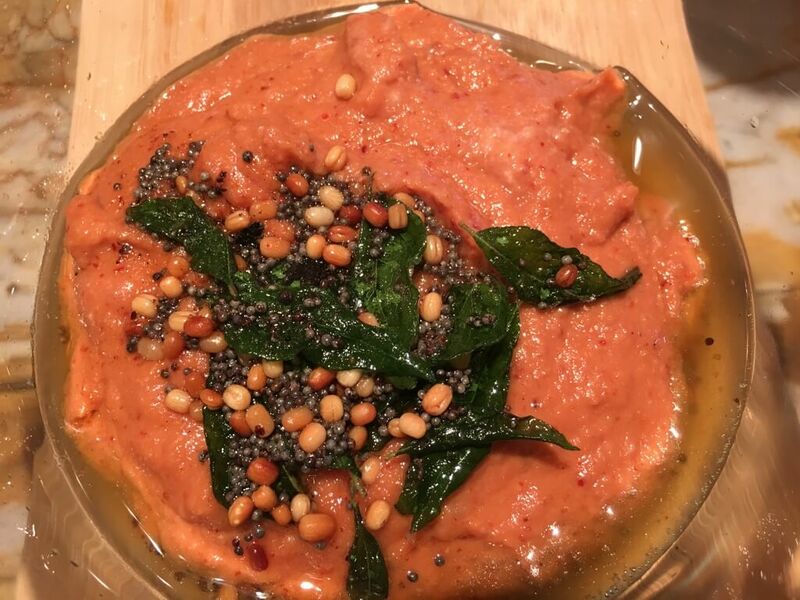 Here’s a refreshing multi-colored, vitamin rich, tangy low fat chutney for you! No need to grate or thaw coconut! Ready in about 20 minutes! Goes great with idli, dosai, pooris, rotis, rice, doubles as sandwich spread! 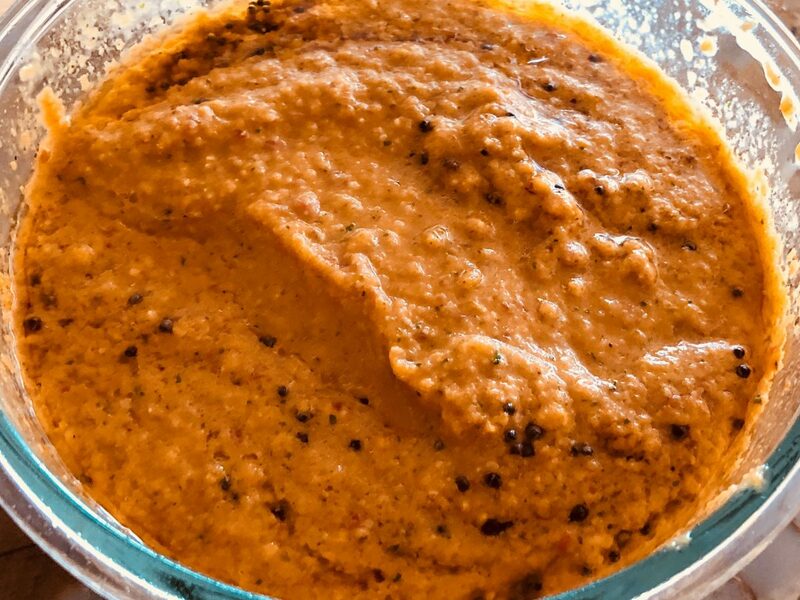 A chutney from the memories of my childhood; a rustic onion chutney to serve with a multiple of dishes such as idli, dosai, poori, rotis, upma, etc. Heat of the chilies, balanced with the sweetness of the onion, and the sourness of the tamarind makes a wonderful accompaniment to mild and bland dishes.